Chanyeol is a hopeless vampire pining away for his lost love. Just when he’s ready to give up on life, fate throws him a second chance. Baekhyun is just your avererage boy with few friends and good grades, the only difference is that he has these strange dreams of a boy with gold eyes, the sweetest smile and... fangs? Few people on this Earth could say they witnessed a love so strong it could shake heaven and hell. Even fewer could claim they had experienced something so utterly rare; to know that instant spark, that indescribable joy, to look into your lover’s eyes and see your whole world staring back. True love is something most long for - romantics, optimists, dreamers, and even the cynics of the world secretly pined for such a connection. For someone who was made just for them, their other half. Their Soulmate. Park Chanyeol couldn’t decide whether or not he had been blessed or cursed to have experienced such a love. Because Chanyeol had loved that intensely. Chanyeol had found his missing piece. Chanyeol had fallen hard... and Chanyeol had lost him. This is a story in which Chanyeol is an angsty mourning Vampire, Sehun is a werewolf, Kai and Kyungsoo are fabulously gay, and Baekhyun is a reincarnation filled with starry dreams and hallucinations. Hello! This is Peach-aholic and welcome to Let’s Meet Again~! I have been thinking about this story for a while now and finally decided to write it. Are vampires even cool anymore? Who knows, but I couldn’t get the plot out of my head. 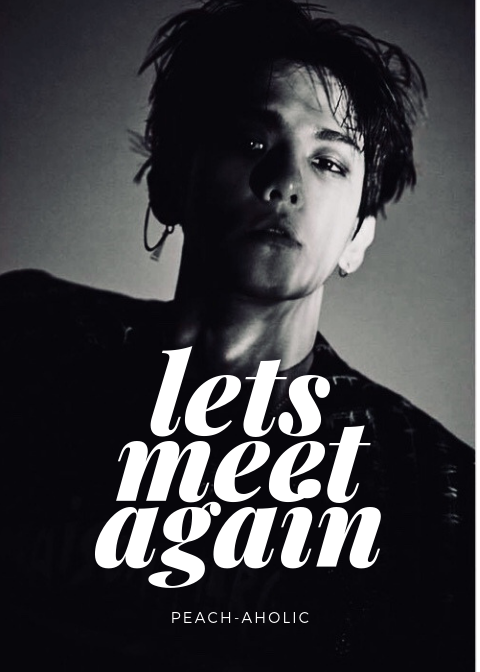 This was originally written as a ChanBaek story, and then I tried to turn it into a Baekhyun x OC story but didn’t like the way it tuned out, so! I decided to keep it the way it originally was with these lovely boys. I hope you will enjoy. If you have any suggestions, let me know! Otherwise, enjoy, vote, review!